We left the British Virgin Islands after visiting both Virgin Gorda and Anegada Sound. 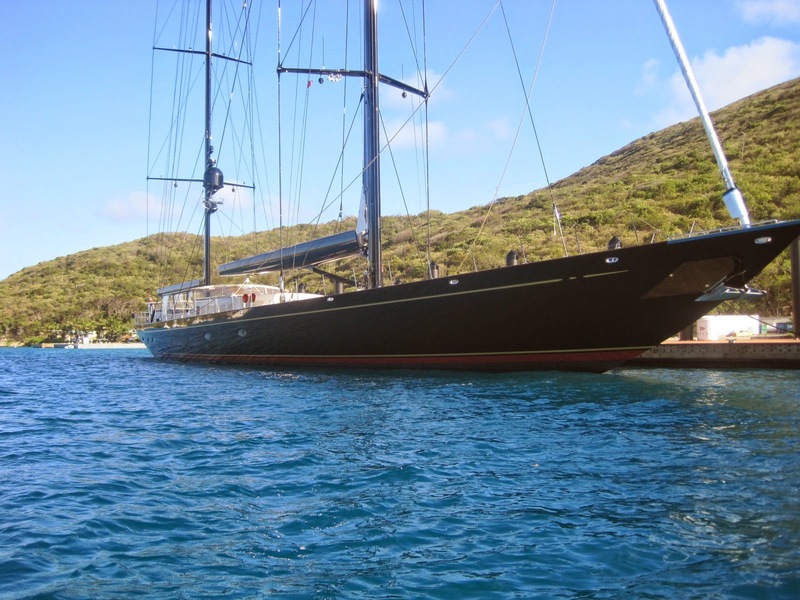 Virgin Gorda is home to a Yacht Club owned by the Aga Kahn where a superyacht regatta was just beginning. It featured a number of sail and motor yachts in the "off the charts" category but our invitation must have been misplaced. In the harbor, was one of our favorite yachts, "Intuition.” The Maltese Falcon was scheduled to arrive, but no sign of her while we were there. The Bitter End Yacht Club is a bit of paradise and the key lime pie there is not to be missed. 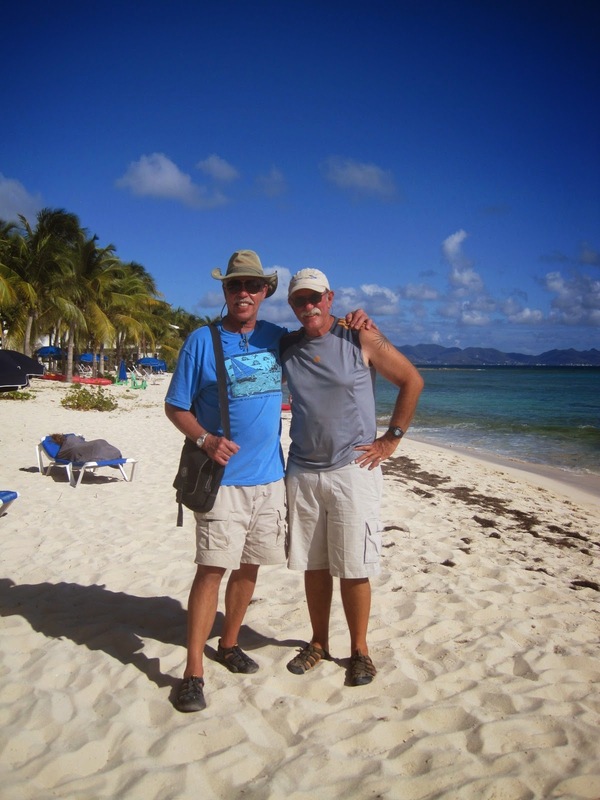 We spent only one day on Anegada, an island some 15 miles north of Virgin Gorda. We had a delicious candlelit meal on the beach at the Anegada Hotel and enjoyed chatting with the owner, VIvian. The setting was simple and beautiful. Unfortunately, Kay became ill (it was more than a hangover) so we skipped the tour of the island via scooter. 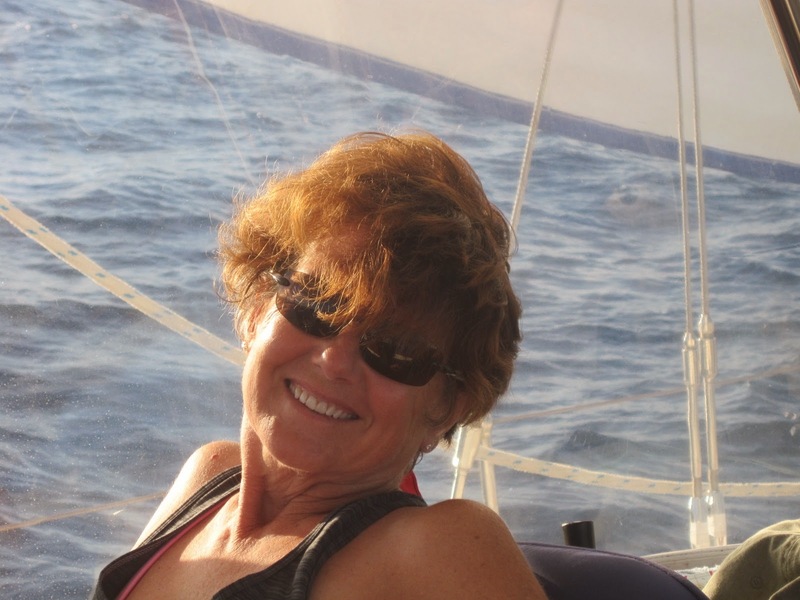 Noon on March 15th, we set sail, passing Necker Island, home of Richard Branson, on an easterly course headed to the Leeward Islands and Anguilla. After sailing through the night, we arrived at Road Bay, Anguilla at 10 AM. Anguilla is a French Island known for its beautiful coral, beaches, and friendly residents. 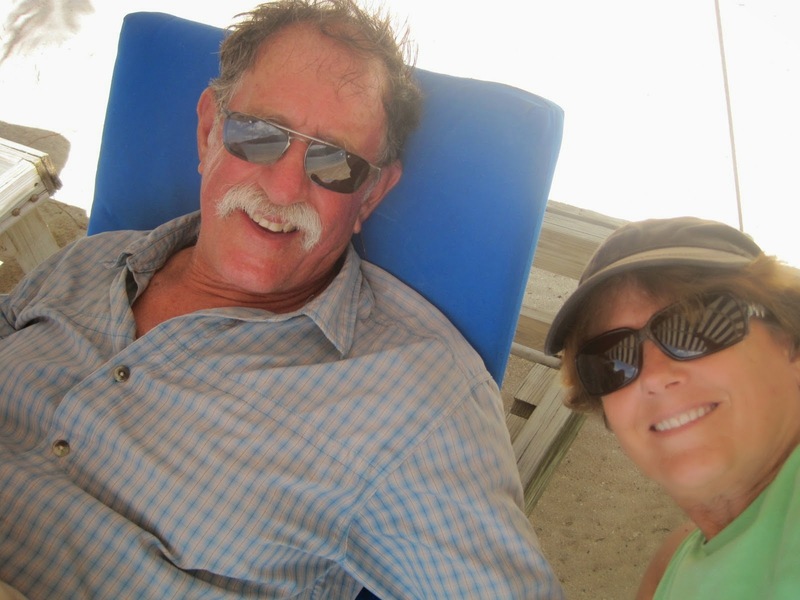 We had another fabulous beach front meal – this time at the Barrel Stay - where the only way Richard’s tuna could have been fresher was if a shark caught it. We’ve been visiting art galleries, meeting some interesting artists and collecting some wonderful pieces to remind us of our adventures in the Caribbean once we are landlubbers again. After arriving in St. Martin, we encountered boat friends that we met in Vermont last year, Hilda and Mike on More Mischief. What fun to trade tales and learn of their adventures. We anchored in Marigot Bay on the French side of the island. Here we found Shrimpy's Laundry Service and Outboard Motor Repair and more good food. The French bakeries will certainly cause us to gain a few pounds. Many have told us that in the Caribbean your dingy is your car. 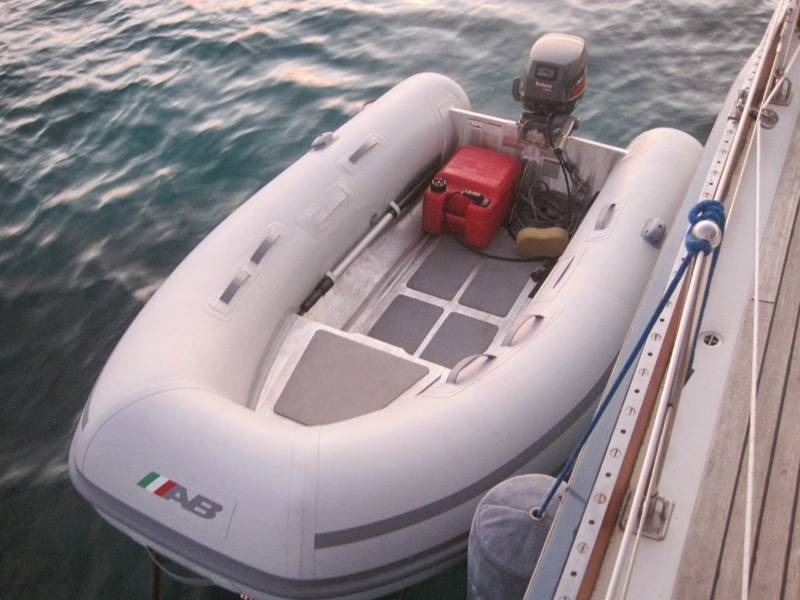 Ours was not up to the task and decided it was time to replace the inflatable with a RIB (rigid inflatable boat) and a more suitable outboard. Richard zips around now so quickly that Murray wants to wear his lifejacket. 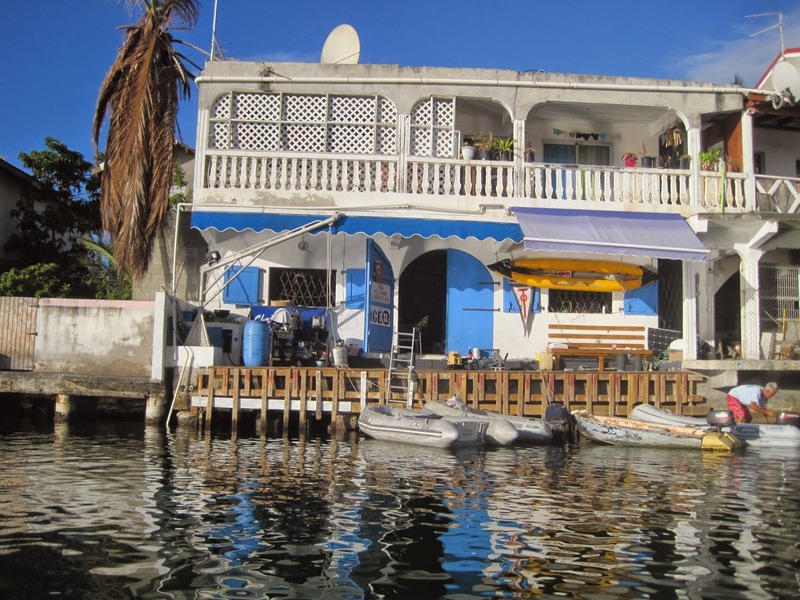 With Dennis and Sue McKay on board, we explored other parts of St. Martin and beyond. 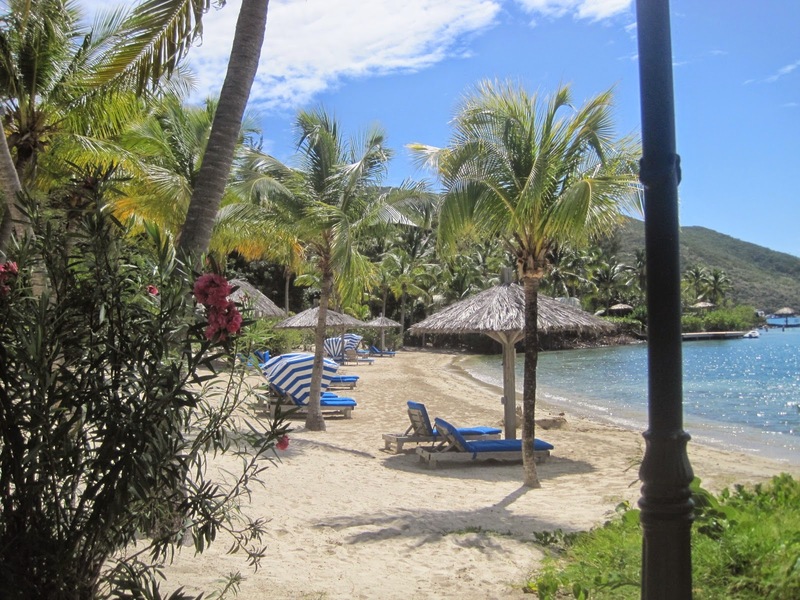 Our first stop was Orient Bay. Much to our surprise it was a nudist resort. What a scene. 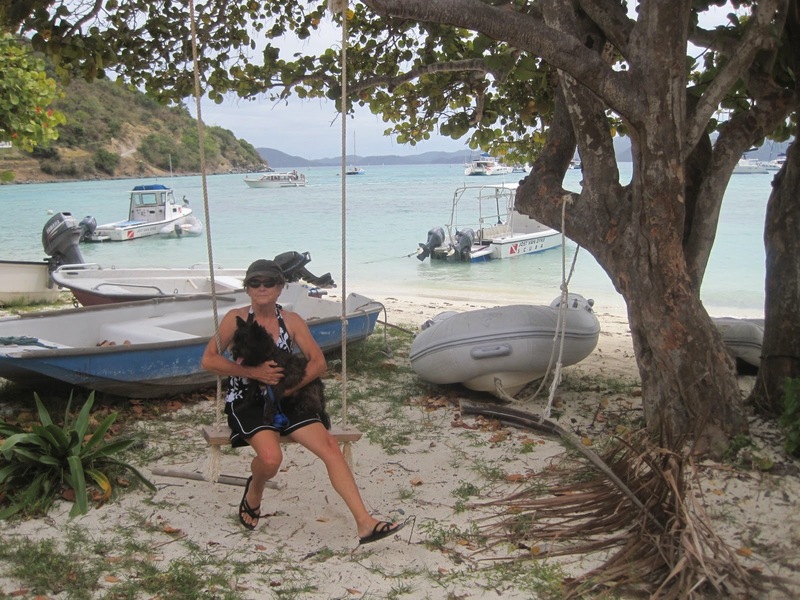 We decided not to join in and headed the next day to Anse Marcel. This lovely bay was complete with beautiful beaches, resort bars on the water and lots of places to explore. All quite lovely. 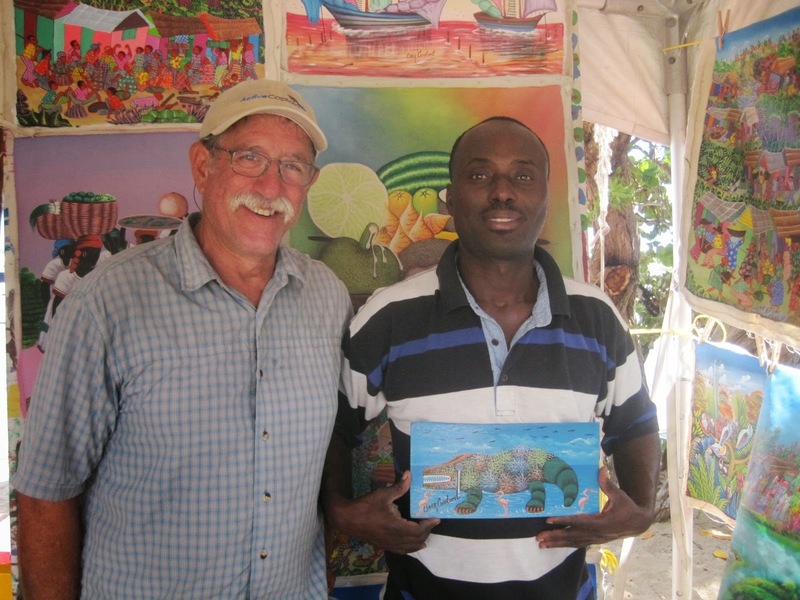 From Anse Marcel we headed to Grand Case for the night and their Tuesday night art, food and music street festival. So much great energy, color, and activity to enjoy. With Dennis and Sue now back in New England, we are spending a few more days back in Marigot Bay. We love this island and have met many interesting folks. Once we provision and repair a few minor things on board, we will be ready to head to the southern Leeward Islands later in the week. Stay tuned and thanks for following our journey.